The roof is an integral part of your home and you need to ensure that it is well installed. It is therefore very important to hire the services of a well experienced roofing company to handle your residential roofing needs. 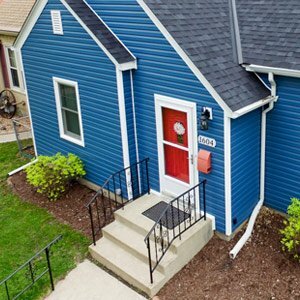 Residential roofing Minneapolis has become a lucrative industry and many companies have emerged each claiming to deliver quality roofing services. However the truth is that not all roofing companies that claim to deliver quality residential roofing services do stand by their word. Some are only there to cash in from ready market at the expenses of innocent clients. However, that is not the case with us. When you hire our services, you will not only benefit from extensive experience that we have but you will interact with friendly contractors who will communicate with you at every step of the project. Our dedication to quality and workmanship has made to become one of the best residential roofing companies in Minneapolis. Below are reasons that makes us stand out from our competitors. Unlike other residential roofing companies that have not licensed and insured their services, we believe in quality and that is why we have licensed and insured our services. Minneapolis has very strict laws that must be complied before the company is licensed. This include proving that you have the right staff, having the right roofing equipment, observing roofing safety features among many others. We have complied with all regulations that state demands and for that reason, we are a fully licensed residential roofing company. In addition to that, we have also insured our roofing services. The fact that we are insured means that we will compensate you if we fail to deliver as promised or if we damage any of your property as we are working on the project. This means that you have nothing to worry about. When you hire our services, we will first visit your home to conduct preliminary inspection. This stage is crucial because it will help us know the current condition of your roof and what we need to do to transform it. Unlike other residential roofing companies that charges a fee when conducting preliminary inspection, we don’t charge even a single cent. We also offer free estimates and consultations. We do this because we are in this business to help transform the lives of our clients as opposed to making huge profits. Before we start any project, we usually sit down with our clients to know what they want. 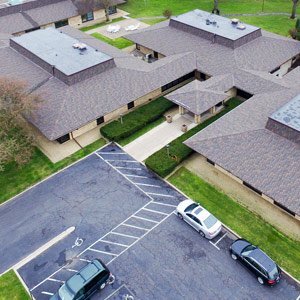 We know that every client has unique needs and preference when it comes to residential roofing. That is why we usually offer personalized roofing services to all our clients. Once our clients have told us what they want, we normally use our expertise and experience to make their dream a reality. In fact, our highly skilled staff will make sure that they provide quality and unique services that will even surpass your expectations. In conclusion, if you are searching for a reliable residential roofing company in Minneapolis, then look no further than us. We are committed to ensure that we give you excellent roofing system that will provide optimum protection to your home. We will take a personal and holistic approach to fulfill your roofing needs and make you 100% satisfied. So whether you are looking for professional roof repair, shingle roofing, foam roofing, tile roofing, flat roofing, storm repair among many others, call us and we will be glad to work with you.